Andrew Allen explains how you can get to know Melbourne by eating your way around it! Most travellers experience a new destination with their eyes. Sometimes when I’m travelling I like to close my eyes and deliberately focus on what I can hear, smell, taste and touch without my eyes overpowering the moment. This is my way of trying to take a personal imprint that I can recall later like a photograph. Of these other senses, my favourite is easily taste... probably because I adore food so much! Like many travellers, I look forward to sampling the local food options when I visit a new destination. One of my favourite cities in the world for taste bud indulgence is Melbourne, Australia. 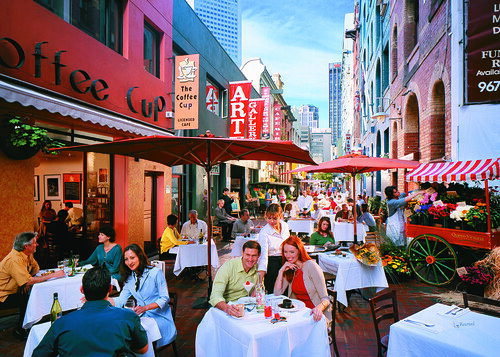 From upscale downtown dining to simple but delicious street food, Melbourne has everything. Though the range of options is continually changing as restaurants open and close, there are seven food-related experiences I would highly recommend to anyone visiting Melbourne, based on the best discoveries from my own time there. The Queen Victoria markets are a must for anyone visiting Melbourne, and their fresh fruit and vegetables make the mouth water. Not surprisingly considering its proximity to the popular Yarra Valley wine region, Melbourne is home to what I would humbly call the best grapes in the world. Large, seedless, a little bit tart, and so fresh that you feel like you’re popping a balloon every time you pierce one with your teeth. If you’re visiting in the morning and peckish for something more substantial, there’s also a French bakery on the Elizabeth Street side of the market with bacon and cheese croissants to die for. With the prevalence of fast-food joints these days, it’s hard to find good old fashioned fries cooked the traditional way. Lord of the Fries is a local institution with the most flawless pieces of potato perfection you could hope for. Located at the bottom of Elizabeth Street, half the fun is in choosing which of the variety of interesting sauces and toppings you’d like on top of your cone of chips. I recommend the French Canadian – shredded cheese and gravy on hot chips is a match made in heaven. If you’re a fan of pho noodles, you simply have to visit Victoria Street in Richmond - home to some of the best Vietnamese restaurants outside Vietnam. This bustling avenue of restaurants features on every guide to Melbourne. You’ll find mainly Italian food, thanks to Melbourne’s large Italian community. Touts standing outside each restaurant will offer you ever-increasing discounts and free drinks, until eventually you choose one and go inside – or eat outside alfresco. Try the chicken parmigiana. My favourite thing to bring home from Melbourne is always a small selection of the exquisite chocolates from Koko Black. This small boutique store is hidden away in the historic Royal Arcade between Little Collins St and the Bourke Street Mall. It specialises in handmade, Belgian style chocolates made on the premises by a Belgian master chocolatier. Upstairs is a cosy lounge where you can indulge in sinful hot chocolates and chocolate mousse martinis. Just 20 minutes from central Melbourne by tram, St Kilda is a popular beachside suburb where a wonderful afternoon relaxing in the sun is hard to beat. 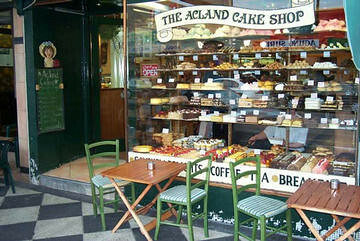 While you’re there, make sure to wander up Acland Street, where you’ll find a row of the most scrumptious bakeries you have ever seen, with cakes that have to be seen to be believed. 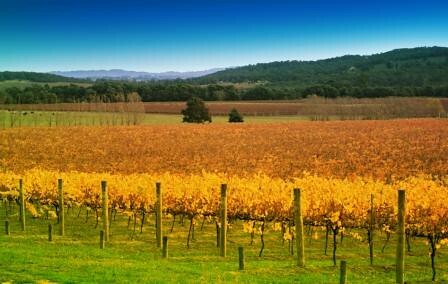 If you have enough time while you’re in Melbourne, a winery tour of the Yarra Valley is a must-do. While the overall experience of the tour is similar to what you’d find in other wine-making regions of the world, the quality of the wine here and the beautiful Australian landscape make the Yarra Valley one to remember. So if you’re lucky enough to visit Melbourne and sample one of these local culinary delights, close your eyes for a mouthful and let your tastebuds imprint that moment on your memory. You’ll take something away with you that can never be captured in a holiday photograph. 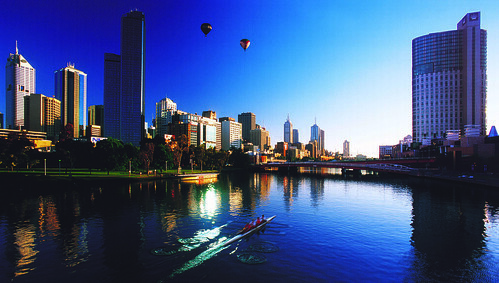 Speak to one of our Aussie Experts about the best fares and routes to Melbourne by calling 0208 045 4186. Click here for Andrew's guide to his home town - Auckland.